Because the differential equation is non-autonomous in , the solution trajectory, denoted by , depends on both and . 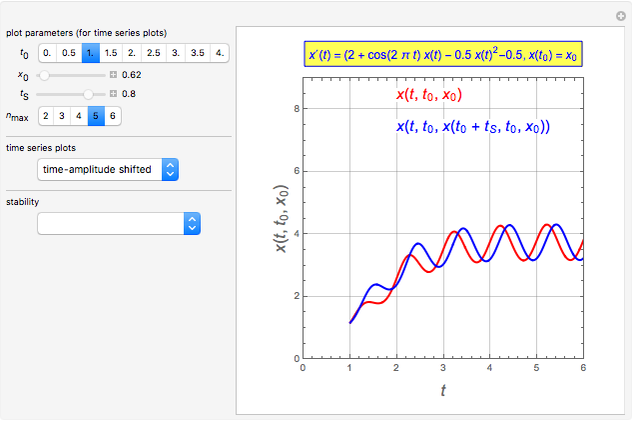 By selecting "amplitude shifted" and varying the sliders , , and , you can examine how the trajectory is affected by comparing it with . As noted earlier, all trajectories ultimately approach a 1-periodic state. 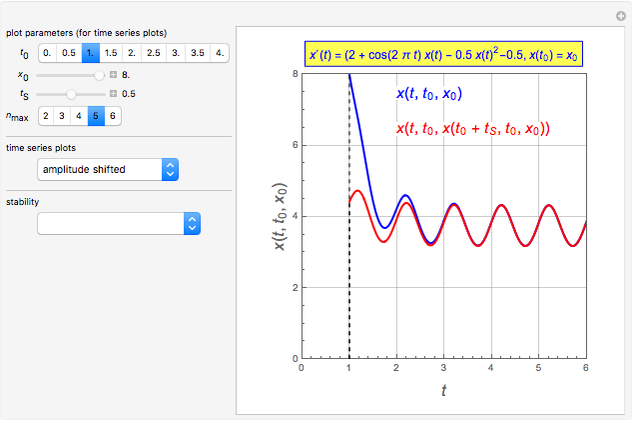 By selecting "time-amplitude shifted" and taking , you can see that the trajectories and are simply translates of each other in time. The intersection of the Poincaré map with the line gives the fixed points for the map. In this case there are two fixed points that are 1-periodic solutions to the differential equation. The intersection near is an unstable fixed point. 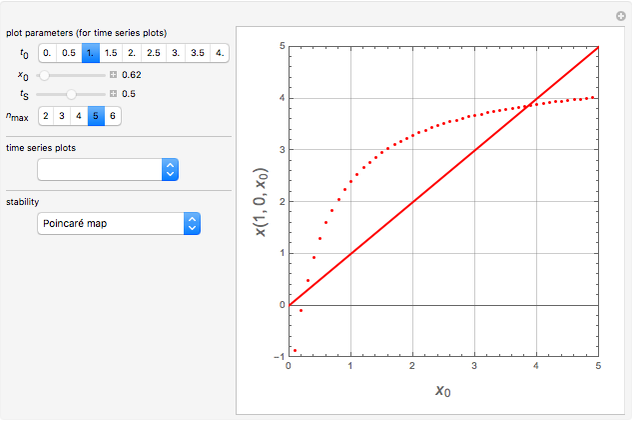 The stability of a fixed point can be deduced from the slope of the Poincaré map at the intersection point or by computing the Floquet exponents, which is done in this Demonstration. Negative exponents represent stable solutions. The example used in this Demonstration is adapted from . J. H. Hubbard and B. H. West, Differential Equations: A Dynamical Systems Approach, New York: Springer, 1991. Brian G. Higgins and Housam Binous "Solution and Stability of a 1-Periodic Differential Equation"